Today’s post comes in the form of a challenge! 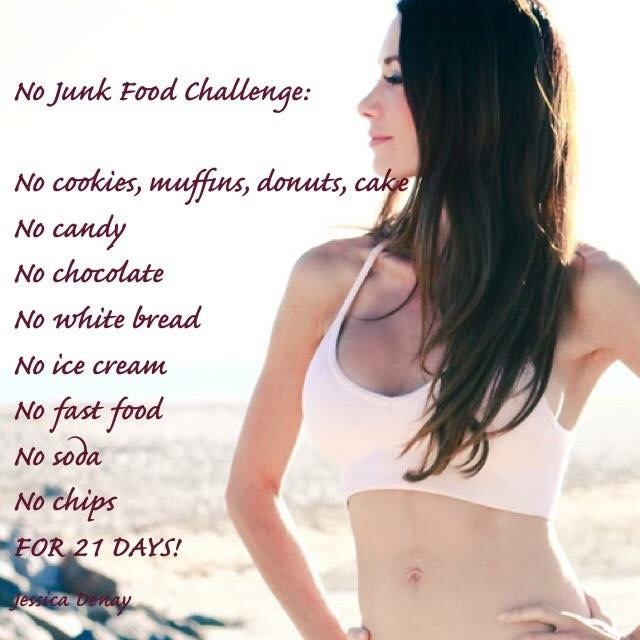 This is a 21 day No Junk Food Challenge! The picture outlines the uncomplicated details! Something as simple as giving up junk food can really jumpstart your journey!